Video marketing is one of the fastest ways of boosting your marketing plan to ensure its success and efficiency. A large number of marketers are planning on increasing their mobile ad budgets to accommodate videos. 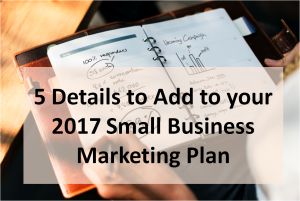 2017 is a great year to test out your marketing chops to see what elements excite your audiences the most. A variety of video options to try for a range of budgets include social media videos, which include Facebook Live, Snapchat and Instagram Stories, which are all free. Additionally, embedded email videos can increase the click through rate significantly; instead of crafting text emails, you can send a message through video. Guest blogger links should be high quality and from experts that have domain and traffic authorities. Guest bloggers must be experts in one shape or form. Content based emails which contains a weekly roundup of your posts for the week. Coupons help to drive new and recurring clients to your website and can increase revenue by 40%. Customer only deals such as these can increase sale and ensure a ROI. Drip email campaigns allow you to keep in touch with potential or current customers whether they have newly signed up or purchase a service. Drip email campaigns are perfect for free trial campaigns.